Mr. Lemon is the only player to have 400 or more putouts in five different seasons. 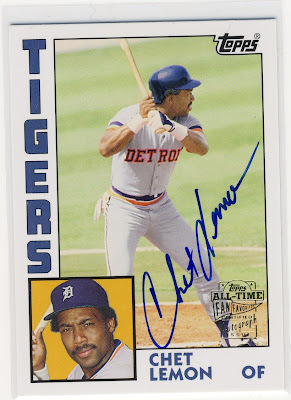 He also holds the American League record for putouts in a season with 512. 1. Chet Lemon is awesome. 2. For a non-1B or C to have that record is absolutely incredible. Chester! 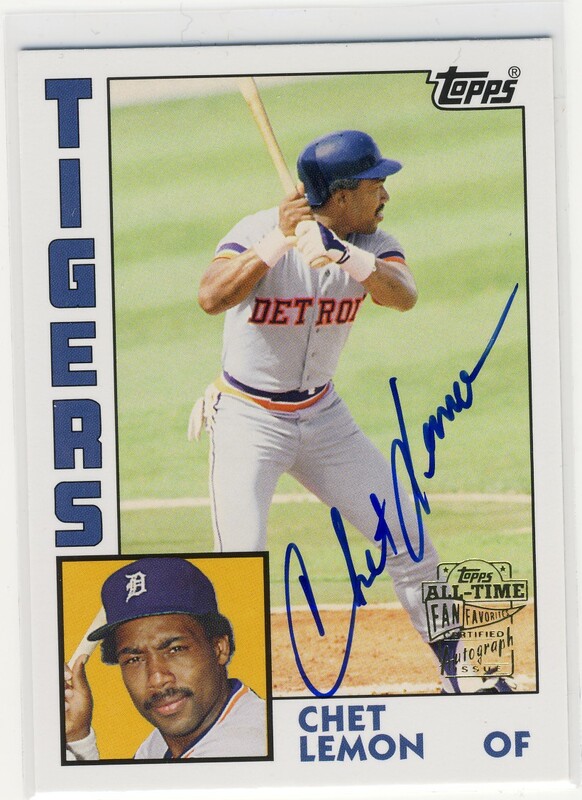 A great autograph on a reprint of a card of from the last year Detroit won it all. I approve.